Here are the last 2 cards I have made for now with Kaisercraft Antique Bazaar 6″ pad and matching collectables.I think these 2 cards would make great graduation cards, and if I hadn’t already made the graduation cards I need this year these two would have put in the box I keep for upcoming family events. 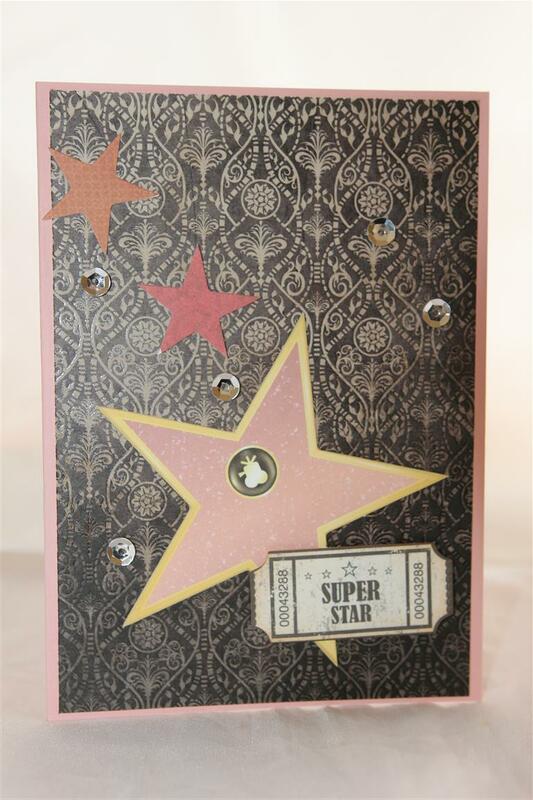 Stampin Up cardstock for both bases, and some sequins sprinkled on the bottom card.well, the weekend has flown by far too quickly, and not a lot of cards made for the fair boxes, but some lessons sorted and all orders up to date, so not too bad! til tomorrow…. 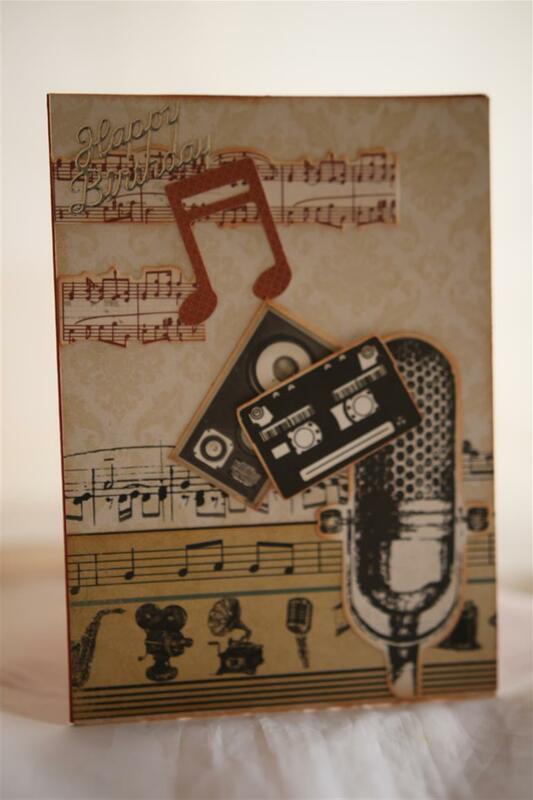 Another card using Kiasercraft Antique Bazaar 6″pad and collectables. 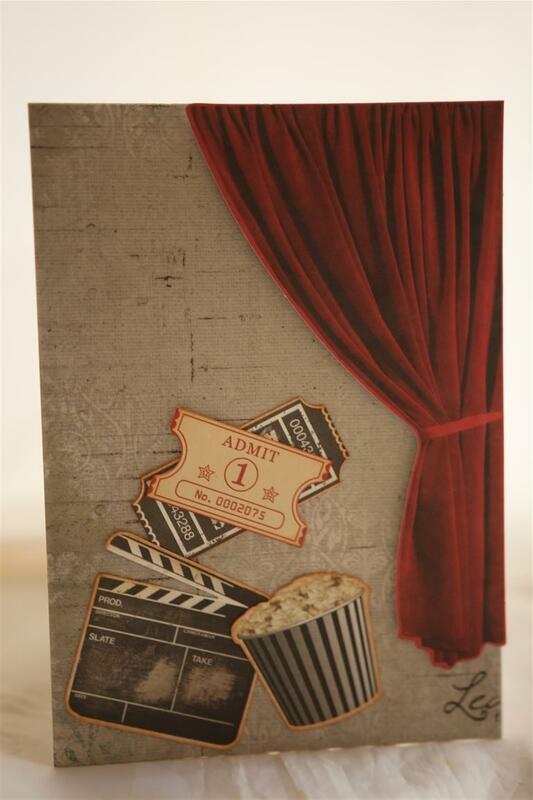 Yesterday it was all about the music and today the theme is movies!Love the collectables in this range! Tonight all my blokes are out, so it is off to the craft room for me – A couple of orders, a class or two to organise, and then if it’s not too late some experimenting with some new folds..bliss…Til tomorrow…. 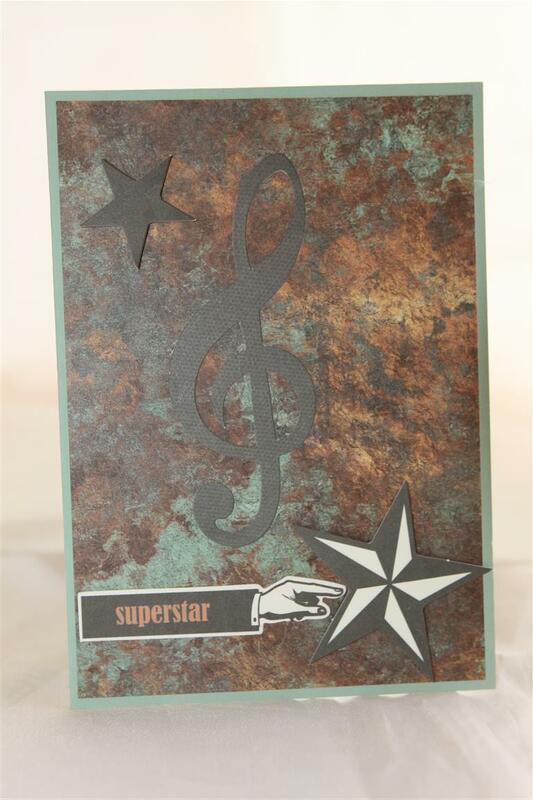 Back to cards today, and these two are made with Kaisercraft Antique Bazaar which is a new release from Kaisercraft. I nearly didn’t buy this one as it was very similar to an older collection which I still have, but I loved the record collectables, so just bought the collectables pack and the 6″ pad.I have mixed it up a bit with the older collection which is Velvet Ensemble.If you have any of this older collection hiding in your craft space dig it out because these two collections compliment each other.A day off for me today, so I have done a very large grocery shop, and shouldn’t have to go back for at least a couple weeks, and the rest of the day will be spent relaxing in the craft room. 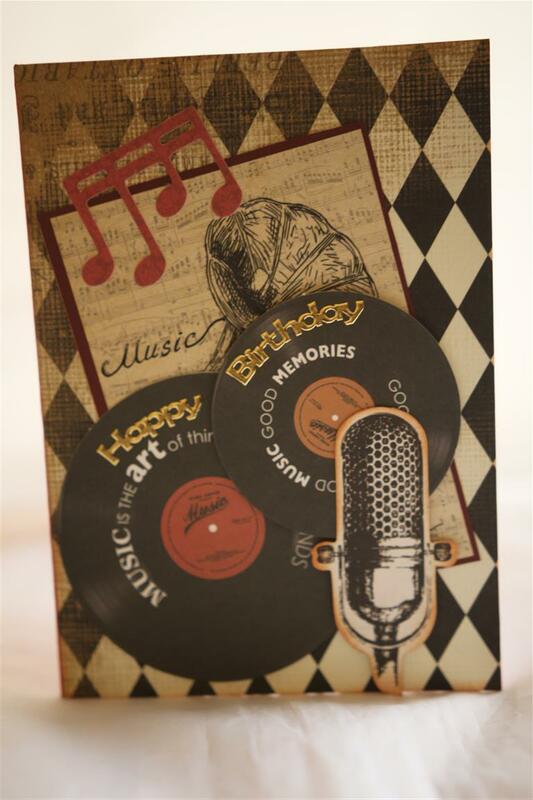 I still have a couple of family birthday cards to make – female ones this time, so easy, and an order to fulfill, then it will be time to start thinking about lessons again! til tomorrow…..